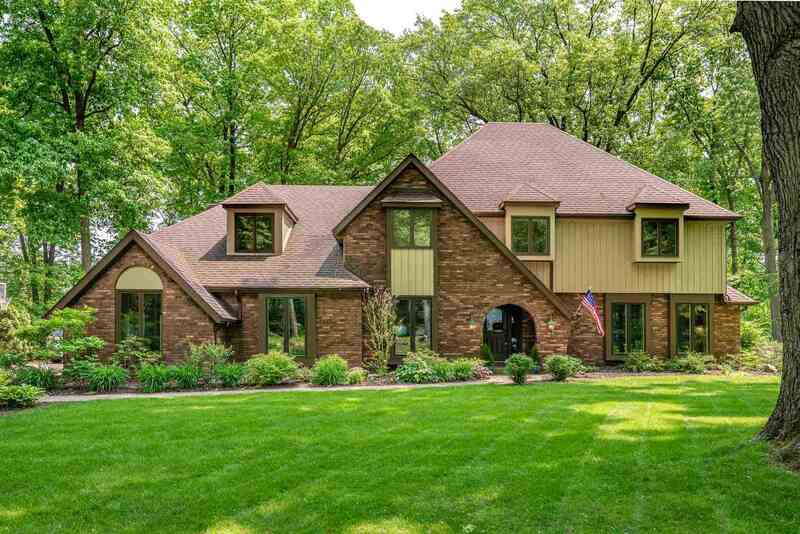 You won&apos;t believe this incredible Knollwood home that&apos;s packed with great features and finishes and features picturesque golf course views! Soaring 2 story foyer leads you into the home&apos;s spacious living room with gorgeous hardwood floors, beautiful views, stately fireplace, and beamed cathedral ceiling! The gourmet island kitchen boasts granite countertops, exposed brick details, and stainless appliance including gas ranch and wall oven. The generously sized master offers space to spare with a private balcony overlooking the rear yard and golf course plus an en suite bath featuring double vanity and custom tile shower! Formal dining room, family room, multiple outdoor living spaces, finished lower level, and more - all pre-inspected with an 18 month home warranty included by the sellers! This home is sure to go quickly so don&apos;t wait - schedule your showing today!